Dunham Massey is a National Trust site comprising a historic Georgian house, gardens and even a deer park. 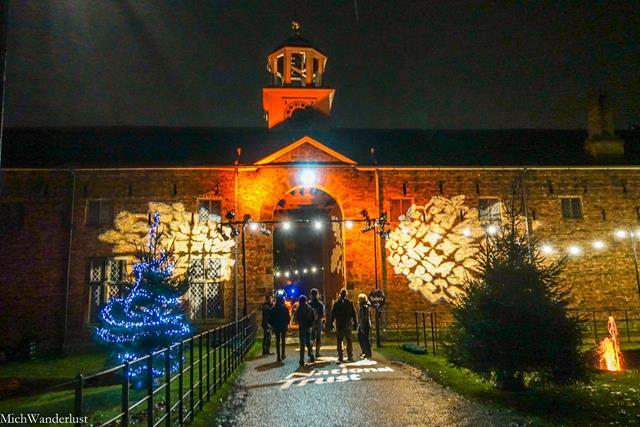 We visited friends in Manchester, England recently, and had the opportunity to attend the Christmas at Dunham Massey event. 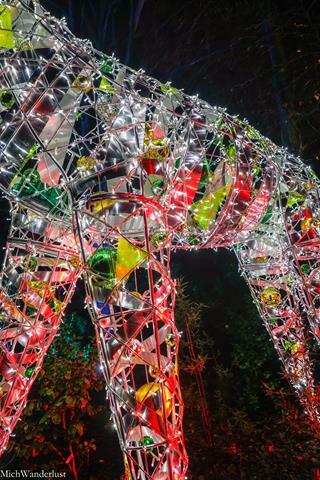 I had no idea what to expect before going – all I knew was that it was a Christmas event in a deer park. Lots of imagination required! So this post will, hopefully, demystify the event for equally clueless people who happen to be in Manchester this Christmas. I wanted to say a big HI to regular readers and apologise for going MIA the last few weeks! If you follow me on Instagram, you might have seen me posting about moving from Singapore to London, where I’m now based. The last few weeks have been incredibly hectic, so blogging has been on the back burner. Why should I care about the National Trust? The National Trust is a conservation organisation in the UK which works to preserve and protect historic properties and nature reserves. If, like me, you love learning about history and heritage, I strongly encourage you to consider visiting some National Trust sites the next time you’re in the UK. Many National Trust sites also offer great walking/hiking opportunities. If you’ve read about my Quilotoa Loop hiking adventures, don’t worry – these walks sound far more organised and better marked! Dunham Massey is located in the Greater Manchester area, near the town of Altrincham. It’s about half an hour’s drive from central Manchester, and also accessible by bus. 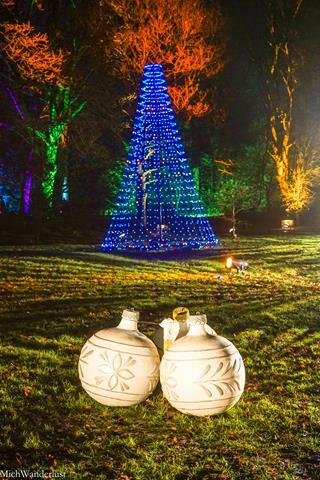 What is Christmas at Dunham Massey?? 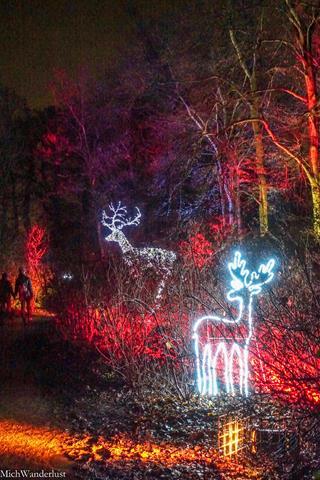 The Christmas at Dunham Massey event is a one-mile trail through the gardens, where you’ll get to admire sparkling Christmas lights and beautifully adorned trees. Bonus: each section is set to a soundtrack of classical Christmas pieces. If you’re a fan of the Nutcracker Suite, you’re in luck! 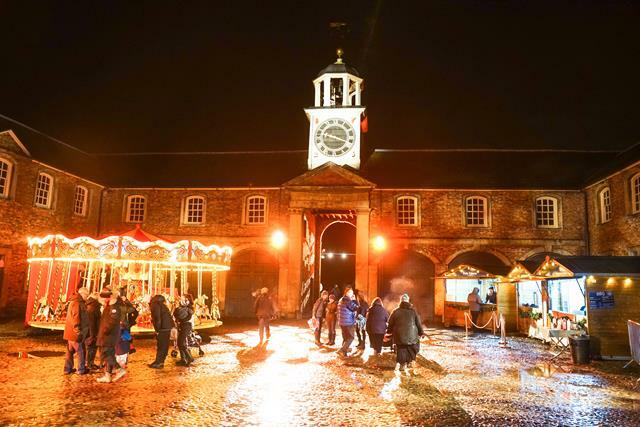 Tickets for the Christmas at Dunham Massey event are issued for designated time slots, so that it doesn’t get too crowded. The first entry is at 4.45pm, and the last is at 8pm. Everything is well sign-posted and there are lots of National Trust staff and volunteers hanging around, so getting lost would be quite a feat. This was my first time going to such an event, and I honestly had no idea what to expect. If you’d asked me what I thought of a one-mile trail decorated with Christmas lights before that, I’d probably have been like, errr… sounds kinda boring. But the minute I entered, I could see why this is such a popular event – apparently, tickets get snapped up really quickly! Yes, it’s entirely artificial. And I’d find it hard to disagree if you called it kitschy. 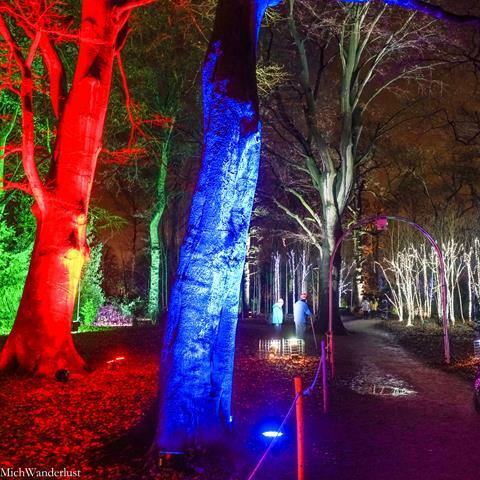 But the combination of colours, lights, trees and music in the cold Manchester air was unexpectedly powerful. Maybe it appeals to the little child in all of us, who still stands awestruck at the sight of colours dancing over water. 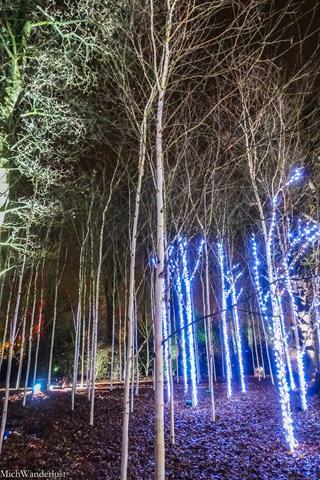 Even without the lights, these white-barked birch trees were stunning. I can’t blame them, though. How often do you get photo-ops like this?! Our photo-taking session ended abruptly, though, when it started to rain. Out came the umbrellas, and in went the cameras (for the most part). At that point, many people cut short their visit and made straight for the exit. But we moved on, determined to see everything we could despite being cold and wet. 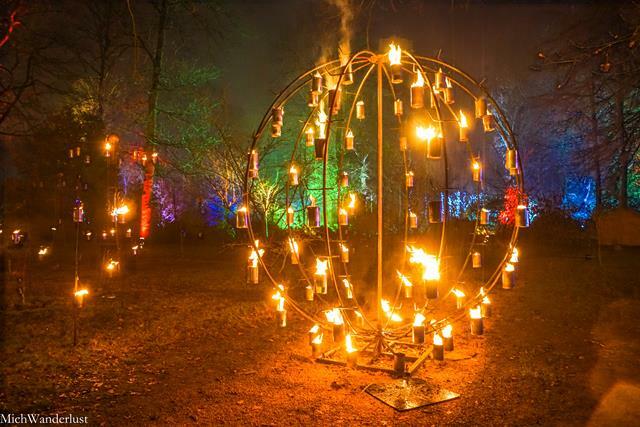 I should also add that at various points along the trail there are little pop-up stalls selling mulled wine, hot chocolate, and other Christmas-themed food and drinks. All at exorbitant prices, naturally. 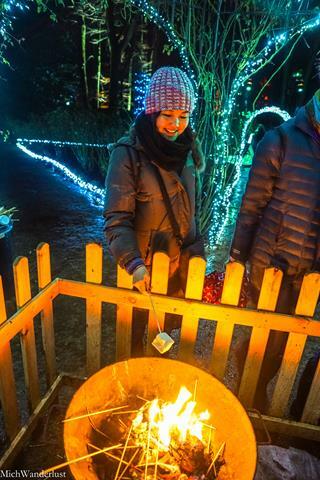 Yep, we crowded around a fire with strangers, toasting marshmallows which cost a whopping GBP1.50 (USD2) each(!!). Plus, they had pretty unusual flavours like raspberry & champagne, passionfruit & ginger, and mango & sweet orange. I don’t recommend the passionfruit & ginger, though. 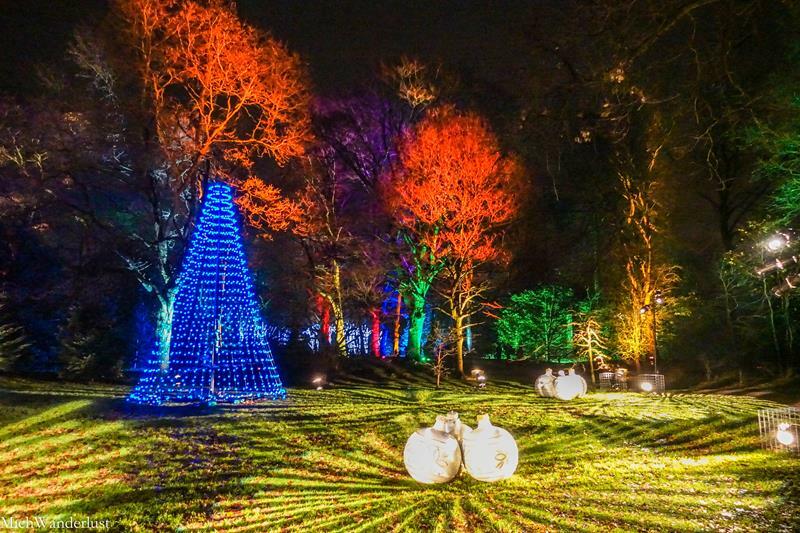 So, was it worth braving the cold and the rain for Christmas at Dunham Massey? For me, as a complete newbie to such events, it was a resounding yes. And it’s perfect for a family-friendly activity. That said, if you’ve been to many such events, you might well be like, meh. We took just over an hour, including a pretty long stop at the marshmallow stand. Previous Previous post: Museo Pumapungo: The Best Museum in Cuenca, Ecuador? Thanks so much for the kind comment, Marya! 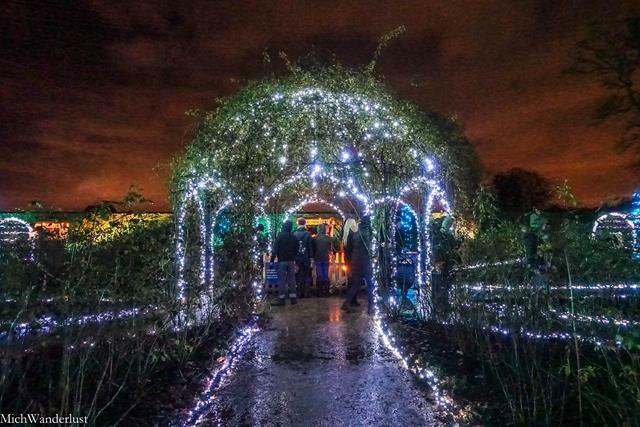 Hope you get to visit Manchester someday in December – don’t be too put off by the weather! Ha, I totally feel you, BonBon! As someone born and bred in the tropics, cold and rain are most definitely not my favourite weather either… but, as you say, you just gotta go with the flow. Keep an open mind, and you might find yourself pleasantly surprised! I”ve been in London for years and have never made it up to Manchester during the holidays. Good on you for highlighting the National Trust. Thanks so much for your kind comment, Dominic! Yeah, Manchester just really flies under the radar when it comes to tourism, doesn’t it? (Unless you’re a football fan, of course!) I’ve visited the UK many times as a tourist but Manchester never made it onto my itinerary either, until some friends moved there for work. 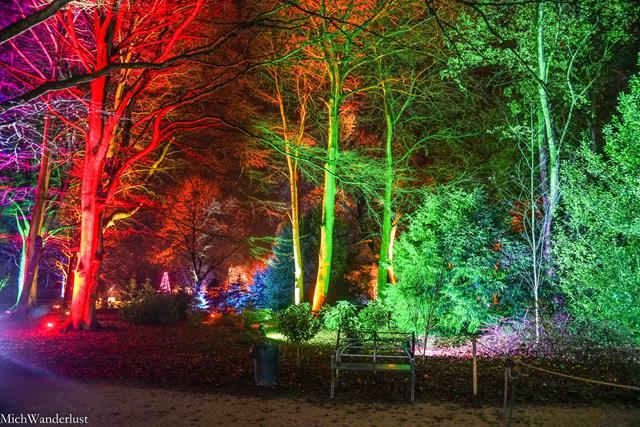 This looks like a nice way to spend an hour at Christmas time, it’s true that a first reaction would be to think it’s boring and kitschy, but I think we just can’t help it – our human brains seems to just be wired to marvel at all these colorful lights! Beautiful! I have a son who is relocating to London for 3 years. Will definitely pass on information about this event. Thanks! Happy to help! 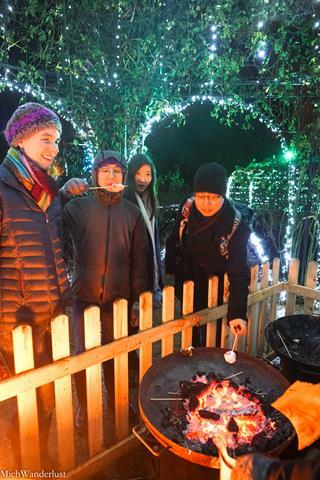 🙂 There are many great Christmas events in London too – hope your son enjoys his time here!! 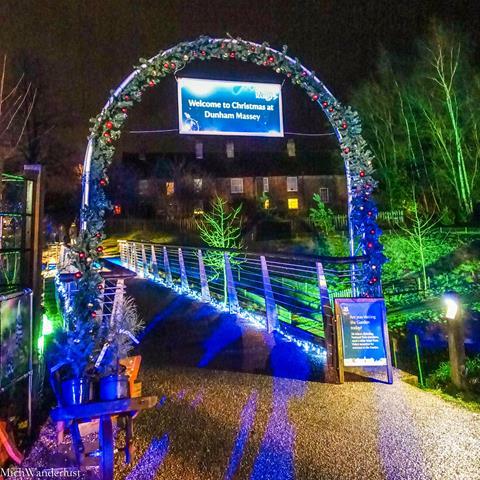 What a lovely place to visit at Christmas, love how they have decorated it. I also love the National Trust, they do such a great job of looking after these wonderful places. 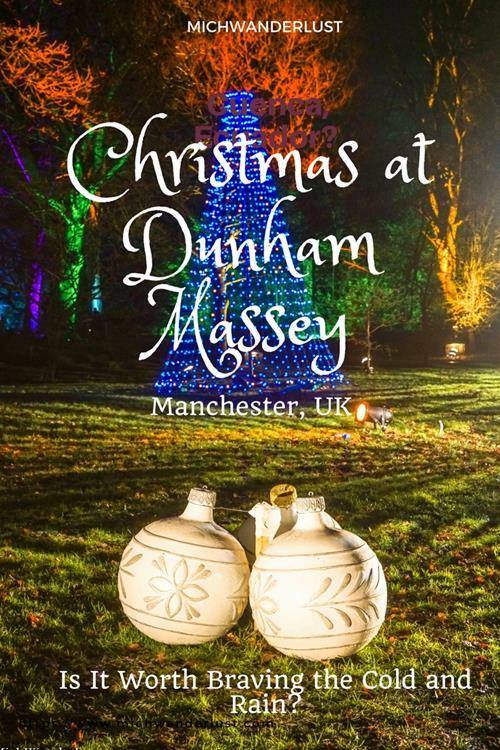 Looks like a great variation for Christmas, never been to Dunham Massey but your post has intrigued me to visit, thanks for sharing! That is really REALLY colorful. I’d like to see what can it looks like in the daytime without the decorations to compare. In guessing there were no deer around. And yes, as an American I can tell you those marshmallows are pretty big. Looks like a fun place to enjoy the holidays! The lights remind me of a place I went to in Korea during Christmas. 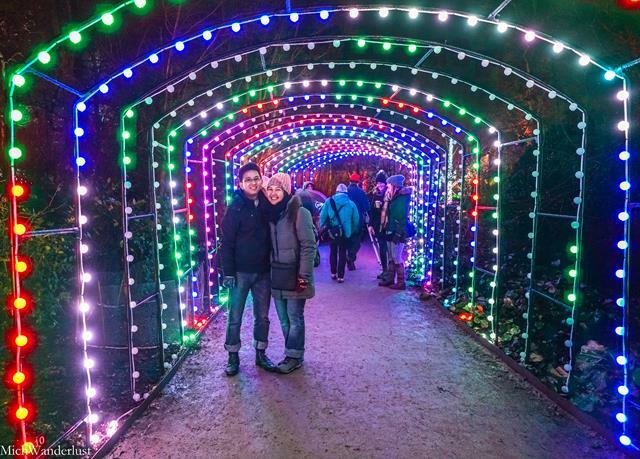 The lights were just so beautiful! Wow! This seems like a great place to spend Christmas at, Michelle. Thanks for revealing a completely new place for me! Aha! So this is what you were doing in Manchester. ‘Nice one! ‘Looks like you had a nice time, with great pictures of the lights. And National Trust land and properties are a big thing! You’d probably like Dunham Massey better in the daylight, ‘cos then you can go on lovely walks. And you know, it’s the UK, rain and wind are par the course, but after a few hot drinks, you’ll be fine! p.s. That marshmallow was huge! I think these light shows are getting more and more popular! I hadn’t realised so many places do it, it’s a great way for the NationalTrust to make some extra money and draw new visitors.